The Committee met to consider written submissions on the National Credit Amendment Bill [B30-2018], which was described as a debt intervention bill (DIB). Debt counselling was costly and it was not provided to a certain segment of consumers. That had emerged after the Committee had consulted with debt counsellors, where a R7 500 salary limit had been suggested. It had been told that individuals who earned less were not economically viable as clients to debt counsellors. Therefore there was no duplication of roles, but the DIB covered the group not serviceable by debt counselling. The Department of Trade and Industry (DTI) said that the National Credit Regulator (NCR) and National Consumer Tribunal (NCT) were already established institutions, so debt review with additional amendments would be something that was already in place, and the NCR had the expertise, processes and monitoring tools. The NCT had the capacity, and currently dealt with complex cases and had mastered the ability to deal with volumes. The DTI had decided collectively with the two institutions on estimates, although the DIB still needed piloting. In the first year, staffing costs would be massive but costs would decrease with time. It would source additional funding, apart from the National Treasury allocation. Currently the NCT and NCR were working on their information communication technology (ICT) interfaces through sourcing the necessary capacity. With regard to reach, the two institutions were adept at partnering with other government institutions to reach customers for debt intervention. Members asked how the R7 500 salary limit had been determined. They suggested that there would be an increased cost of credit for low-income earners, and that passing the bill would result in a write-off of up to R30 billion in debt. There was also concern that it would weaken the fight against illegal credit providers and loan sharks. They asked if implementing the mandatory life insurance promulgated in the regulations would be left to the market, and insisted that the language used to create awareness of the bill’s provisions must be made simple enough for the target market to understand. The Chairperson said the National Credit Amendment Bill [B30-2018] was unusual, in that it was a Committee-introduced Bill. The Committee had received all the submissions and not all would be read, but a summary that contained them was included in the presentation before the Committee. Advocate Charmaine van der Merwe, Senior Legal Advisor, Parliament, said she had included all the comments, even those that unfortunately were unconstitutional, in the presentation slides. Although it was true that the National Credit Amendment Bill, which was a debt intervention bill (DIB), would have a long implementation timeline, the absence of a starting point, as the DIB was intended, would invalidate the need to assist consumers in the segment the DIB was focused on. Debt counselling was costly, and it was not provided to a certain segment of consumers. This had emerged after the Portfolio Committee (PC) on Trade and Industry had consulted with debt counsellors, where the R7 500 salary limit had been discussed. The PC had heard that individuals who earned less were not economically viable as clients to debt counsellors. Therefore there was no duplication of roles, but the DIB covered the group not serviceable by debt counselling. 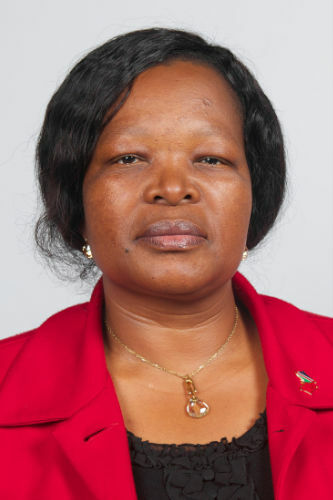 Dr Evelyn Masonja, Deputy Director-General (DDG):Consumer Corporate Regulation Division, Department of Trade and Industry (DTI), said the DIB DTI could provide any further detail on the implementation in written form. However, it had envisaged that since the National Credit Regulator (NCR) and National Consumer Tribunal (NCT) were already established institutions in respect of debt review, the NCR had the expertise, processes and monitoring tools. Debt review with additional amendments would be something that had already been in place, so the NCT had the capacity, and currently dealt with complex cases and had mastered the ability to deal with volumes. The DTI had decided on estimates collectively with the two institutions, although the DIB still needed piloting. Capacity and information communication technology (ICT) and location requirement projections had been done. In the first year, the DTI projected that staffing costs would be massive, but costs would decrease with time. It had also researched where else it would get additional funding, apart from the National Treasury allocation for the implementation for the DIB. It already had a policy where the NCR collected fees from distributing agencies, which the DTI envisaged would support the financial literacy programme provided for in the DIB. Currently the NCT and NCR were working on their ICT interfaces through sourcing the necessary capacity, and in terms of reach the two institutions were quite adept at partnering with other government institutions to reach customers for debt intervention. Currently the NCR had appointed a project manager to develop a project plan and feasibility for implementation of the intervention. The DTI was also planning around the regulations for the law, the documents which would need to be developed, and the step-by-step processes that the NCT would need to continue with its current work, as the DTI did not believe the intervention would bring about a lot of new things. The debt counselling could be person-to-person, telephonic, through radio as debt education, and roadshows. For financial literacy, the DTI envisaged that it would partner with Sector Education and Training Authorities’ (SETAs’) capacity and other state institutions, like the National Treasury’s (NT’s) financial literacy programme. It also foresaw that it would use the National Lotteries Commission (NLC) and consumer protection offices for financial literacy and debt counselling. The DTI believed strongly that the NCT and NCR were well capacitated to implement the intervention. On the subsidy versus levy issue for funding the intervention, Dr Masonja said a levy would not be viable, as it was a money bill component whose mandate belonged to the NT. The DTI also did not allocate grants, but had incentives, although those had criteria and were purpose driven. Subsidies would also not be considered, as they were costly overall for the implementation of the debt intervention mechanism. Most of the comments seemed to centre on existing infrastructure from banks and debt counsellors, whilst the reality was that South Africans were suffering under the weight of debt. Ms Nomsa Motshegare, Chief Executive Officer (CEO), NCR, said that with regard to the DIB, it had been envisaged that the NCR would be performing debt counselling to a large extent before considering extinguishing of debt, as that would be the very last resort. The advantage was that if the NCR performed debt counselling for the targeted segment of consumers, the service would be provided free of charge. Debt counselling worked, although as debt counsellors had already indicated, it was not viable for them to service the DIB’s target consumer. Through debt counselling, credit providers had to date recovered an amount of about R50 billion since its inception. On average, about R900 million got distributed to providers on a monthly basis through debt counselling, which was money which would otherwise have been written off by credit providers. 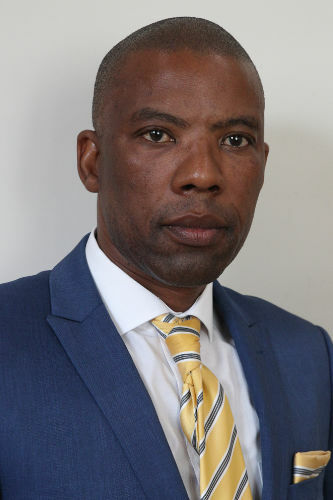 Professor Joseph Maseko, Board Chairperson, NCT, said that insolvency already existed in the country, but the targeted segment earning about R7 500 or below, and owing debt in the region of R50 000, could not afford to go to court to ask for an insolvency declaration. Deprivation of property in that instance referred to bad debts which companies wrote off voluntarily and regularly, as it made no business sense to chase after money that was unrecoverable. The DIB would provide relief to those who could not afford insolvency, and allow credit providers to voluntarily write-off bad debt as they were already doing. 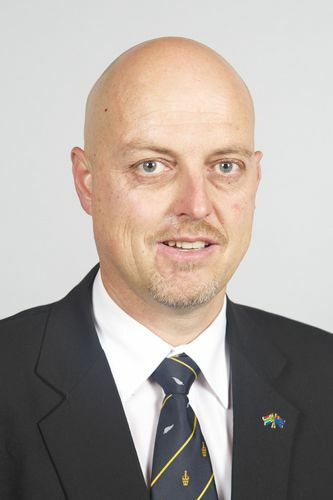 Mr W Faber (DA, Northern Cape) said the fact was that the DIB would increase the cost of credit for low income earners. The DIB would also weaken the fight against illegal credit providers or loan sharks. The DIB would disrupt the credit market while posing a financial risk to government. What study had been done to determine that the minimum amount had to be R7 500, and not R5 000? His understanding of the DIB and its passing was that it would increase the number of credit seekers who could not finance repayments of debt. The fact that the banking industry was opposed to the DIB on the basis that the restriction of credit to low income earners and extinguishing of debt would result in unconstitutional deprivation of property, was significant. The Chairperson said he would disallow questions which the Committee had ventilated earlier in the processing of the DIB. Therefore he would allow the presenters to respond only to two questions from Mr Faber. Mr L Magwebu (DA, Eastern Cape) said he struggled to understand why stakeholders’ input had been summarised by Adv Van der Merwe. His hope had been that stakeholders would have been allowed to present in person. The Chairperson interjected that Mr Magwebu was being unfair, in the that the inputs which had been summarised had been shared with the Committee seven days prior to the meeting, and if there were questions specifically on those, he could simply ask them. On mandatory life insurance through the promulgation of regulations, Mr Magwebu wanted to know whether the insurance product would be left to the market to develop. The language used in the documents would be above the grasp of the people it was intended to help -- how ready was the DTI to develop financial literacy in all 11 languages? Were financial literacy officials already available, or would they be sought if the DIB was signed into law the following day? Mr M Rayi (ANC; Eastern Cape) also was concerned about the training to provide financial literacy, as the DTI had referred to partnerships and cooperation on goodwill from other state entities, when in fact some could refuse, as they were not obliged to assist. Whilst processing the Competition Amendment Bill at another Committee, he had heard from the Competition Commission (CC) that the CC had made an arrangement with NT to have some of the penalty sanctions funds channelled to the CC instead of the national fiscus. Could a similar arrangement not be made in the DIB? Where would the 10% mentioned go? Could the aspect of financial literacy not wait for debt to accumulate? Would it not be proactive to link-up with trade unions to proactively roll-out financial literacy, as the majority of those earning R7 500 and below would be unionised? Mr O Terblanche (DA, Western Cape) said that the country was already sitting on a fiscal cliff, yet the DIB proposed adding additional government staff when the wage bill was already so high, with a bloated government service. Probably the very segment of consumers targeted would have to bear the brunt of the unforeseen circumstances which would result from implementation of the DIB. 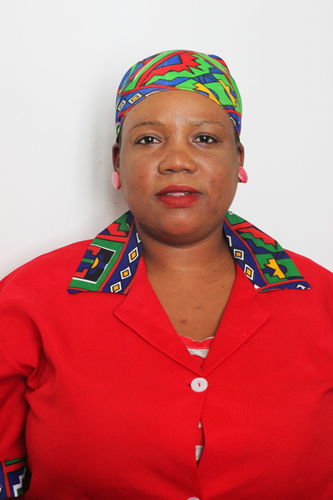 Ms M Dikgale (ANC, Limpopo) also questioned the determination of the R7 500 as the bottom lock-out number, when the National Minimum Wage (NMW) enacted by President Ramaphosa was R3 500. Had that been considered by the DIB? Could the traditional council offices be included as points of access for financial literacy and debt rehabilitation where there were no post offices in rural areas? The Chairperson said when the Gauteng provincial legislature had had a similar briefing by the actual stakeholders, instead of summaries, similar questions had been asked by the Committee there, except for the issue of funding and ensuring that the legislation actually benefited the targeted consumers, and that those consumers had the literacy levels to benefit. Dr Masonja replied that the UK reference originated from the Portfolio Committee’s (PC’s) experience, which had found that there was no moral hazard in having the DIB, and no cost had been incurred. As Prof Maseko’s had indicated, South African consumers were over indebted, and the industry was writing off debt daily anyway, although that should not justify an irresponsible process. However, the DTI envisaged that the DIB would be assisting credit providers as well. If the DIB process was implemented properly, the consumer would be paying something back at some stage, as the DIB was a restructuring process, and this would assist with responsible lending and credit provision. The DIB introduces different review mechanisms, and the process would be reviewed regularly for impact, but it had to be allowed to run first. The R7 500 determination had not been random, in that presentations had been made by the industry and debt counsellors that indicated the thresholds they used to determine applicants in terms of the support provided. That had assisted the PC to determine the numbers, together with the research presented by the NT. Regarding the R3 500 versus R7 500 level, the point was that from R7 500 and below, including R3 500, those would be the target consumers -- whatever amount below R7 500 would be catered for. The DTI could certainly explore a Competition Commission arrangement for the DIB. Certainly, as earlier mentioned, the DTI would not only look for the NT’s allocation. Since payment distribution agencies were one of the NCR registrants, there was an interest bearing account which generated revenue currently. Because it was an additional funding stream, the DTI was considering using that to fund financial literacy. Registration fees would also be explored as a source of funding. It was correct that with the over indebtedness in SA, there was supposed to be ongoing capacity building, although she believed the NCR already had such initiatives. Regarding mandatory life insurance, Dr Masonja understood that the market had products, but the space could be improved. The DTI had concurrence with the NT for credit life insurance for other credit products. The DTI had also ensured that the language of the DIB was simplified to be understandable for everyone, and the NCR had appointed someone to look specifically on implementability, applicability and accessibility of the intervention. Regarding infrastructure accessibility, the DTI would certainly explore not only using the post offices in rural areas, but would also widen its scope. Ms Motshegare added that the NCR had already undertaken community outreach in rural areas through tribal councils, and it envisaged also investing in mobile offices even before the intervention was signed into law. As she had already indicated, debt counselling worked for those earning above R7 500 monthly, but those earning below had no debt relief mechanism. Through the DIBS, the NCR believed it would enable credit providers to receive some money back through restructuring, as currently they were writing off debt. Prof Maseko added that the NCT envisaged that the DIB process would be the same as the debt counselling application process already offered to middle income earners, but done by both the NCT and the NCR. Currently in the cases before the NCT, most of the time the consumers agreed on payment terms with the credit providers after they realised that the debt counsellor had actually facilitated a simple discussion between the two parties on how to restructure the credit. Most of the cases came to the NCT already as consent orders, and did not go to magistrates, and they numbered about 2 000 per month, or 24 000 per annum. For the DIB, the insolvency component would be facilitated by officers of the NCT instead of debt counsellors, and the NCT understood and accepted that the process would take time to get used to. The NCT believed that since about 90% of the consent orders’ application had no expropriation of property, and as the credit provider would always be involved from the beginning under the DIB, by the time an insolvency application came to the NCT the parties affected would have agreed whether the alternative was full-on litigation. The NCT did not believe there would be abuse of the system by the consumer, as the DIB system penalised the consumer as well. Consumers would not be able to access credit whilst undergoing debt intervention until rehabilitation was completed, and probably even that would be fought against by the credit providers along the way. At every stage, the credit provider would be involved in either agreeing or disagreeing until a third party arbitrated otherwise, which was where the NCT would be intervening. Loan sharks, or illegal and irresponsible lending, were being criminalised by the DIBS, which meant jail terms would apply, and certainly that would deter illegal lending by unregistered credit providers. Adv Van der Merwe replied that on mandatory life insurance, the DIB mandated that the Minster of the DTI had to consult the Minister at NT before the latter made regulations, so the Minister at NT could give input on whether the mandatory life insurance would be viable for the market. Regarding the method used in the Competition Amendment Bill to finance its implementation, any money used in that manner had implications from the Public Finance Management Act (PFMA). Money had to go back to the fiscus first. Because the bill was section 76 (affecting the provinces), the current public participation process before the Committee was quite new and causing practicality challenges for staff, but all the stakeholders who had submitted input would be consulted individually at the provincial legislatures, since that was where the voting mandates occurred. Practically the only way that the submissions could be ventilated was for them to be circulated, as they had been to the Committee to take to their respective provinces so that the legislatures could process the report which the Committee would conclude. The Chairperson said that it was not as if the Minister would develop regulations in solitude -- they would be developed in consultation with the NT and the NCT. He then read the Committee’s draft report of the National Credit Amendment Bill (DIB), asking whether there was agreement for the process to seek mandates from the provinces. The Committee adopted its report on the National Credit Amendment Bill without any amendments. The Committee considered its minutes of 31 October. The minutes were adopted without any amendments. The Committee also considered the minutes of the 7 and 14 November. The minutes were adopted with technical amendments.